This post uses amazon affiliate links because it’s so easy- but if you have a local bookstore be sure to help them out! Call and see if they have your book requests in stock or if they can place special orders. Shopping small is so important! 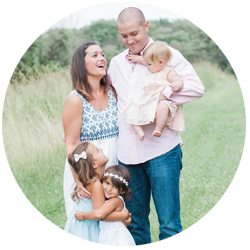 Ok, here’s the scene: you got the really cute baby shower invitation asking you to bring a book instead of a card. This is great because you love books and know how important early literacy is and think there is nothing better than shelves full of books. 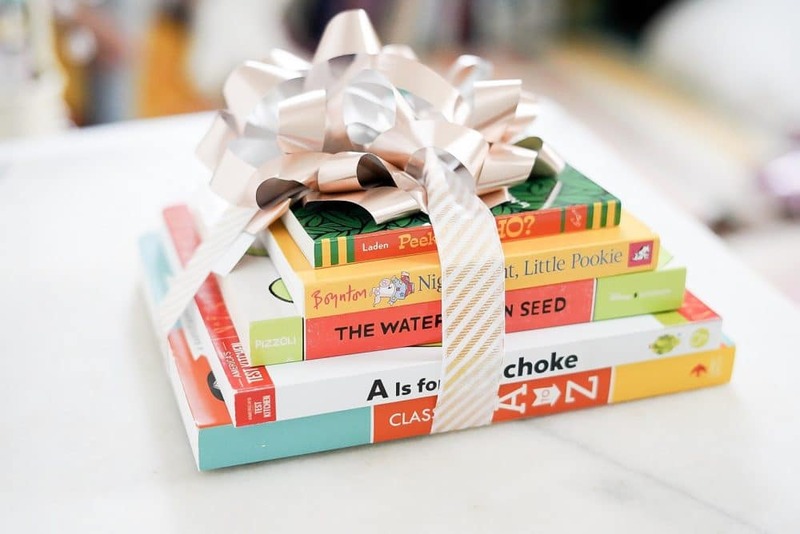 (Have you seen my favorite board books gift guide from a few years ago?) But what are the best board books for this occasion? Do you pick your favorites or go classic? How do you narrow down which ones to get? Do you write in them? 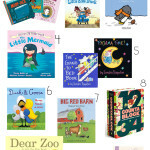 I personally LOVE picking out the best board books for new parents who are having a book baby shower. You all know my obsession with and true love for children’s books and my passion for board books just runs so deep. The artwork that goes into them, the vocabulary development, the rhythm and rhyme of early language skills, the routines books can help build; I love all of it. 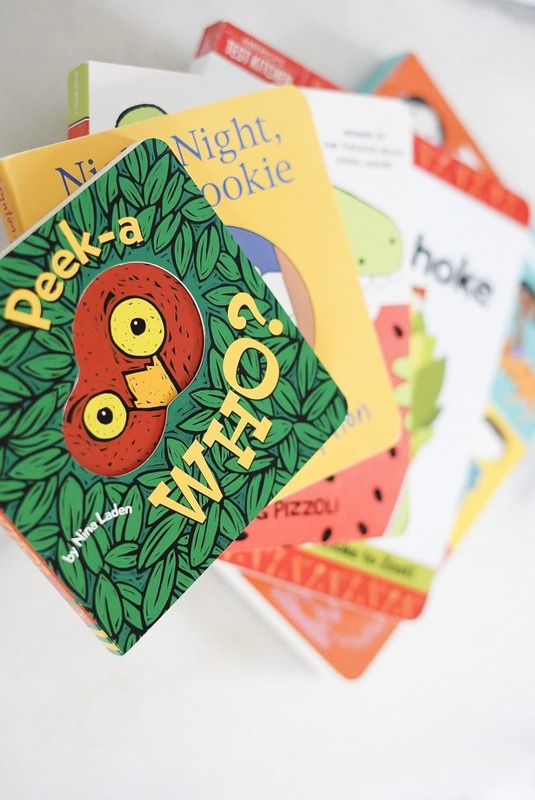 However even though I love all of that, selecting the best board books can also bring on some anxiety because you run the risk of giving something the family already owns or has seen or duplicating a book someone else at the shower will bring. I’ve even seen triples and quadruples of the same books and it is always crazy to me. Of all the books out in this world we still would all grab the same few. Why?! Truly I think we sometimes just blank on ideas and go with what is safe and easy. 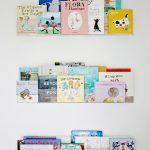 But I’ve got a method to my selections and I hope it helps you next time you need to pick the best board books to bing with you to a shower and you want to find unique titles. 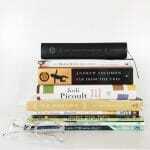 Choose a book that has cut outs, flaps, textures or some other “fun” element. 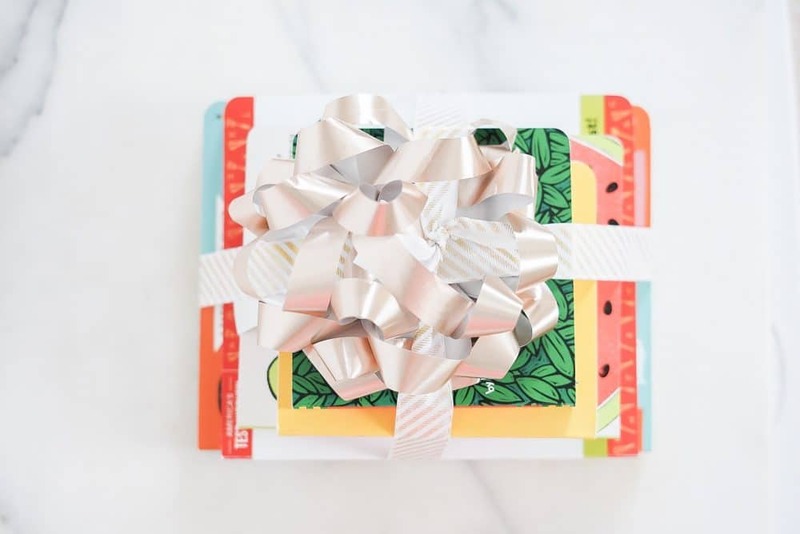 These special qualities of a book’s page are so good for baby to explore and help invite parents and children to have a very interactive reading experience. We love the all the books from Nina Laden’s Peek-A series. Choose a book that can start a collection! I love love love when one author or illustrator has a really special collection of books- baby can become familiar with characters and colors but still have quite a few different stories and ideas to grow into. 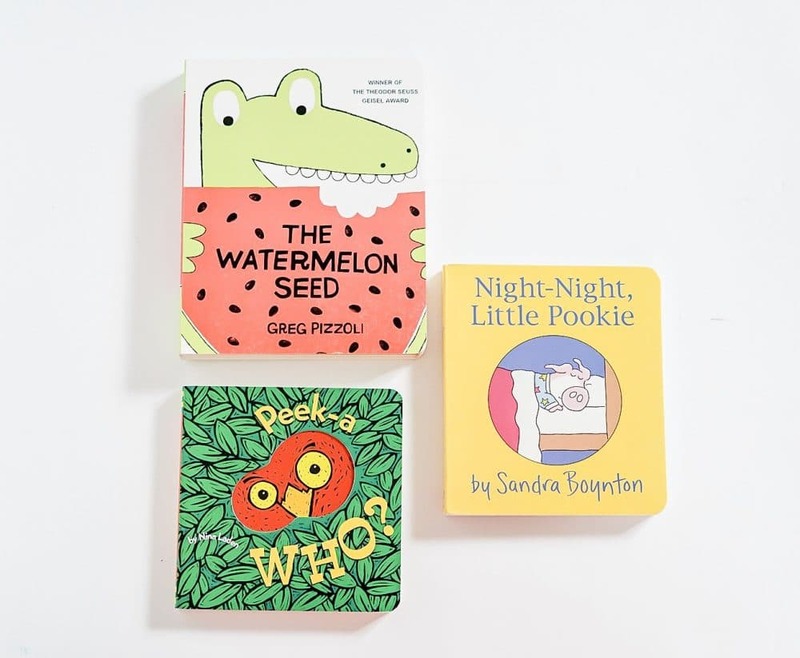 Sandra Boynton does a really amazing job with her Little Pookie series and there are so many for families to find and enjoy over the years. Give an out of season book. Sometimes the books we select to gift are the ones right in front of our faces. This is because stores, displays and websites are obviously designed to sell what people are interested in RIGHT NOW. 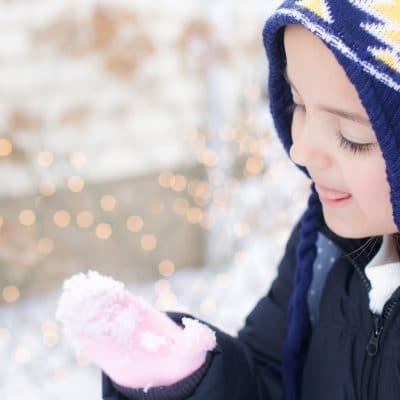 It’s still frigid here but why not pick a book reminiscent of summer or a favorite thanksgiving title? 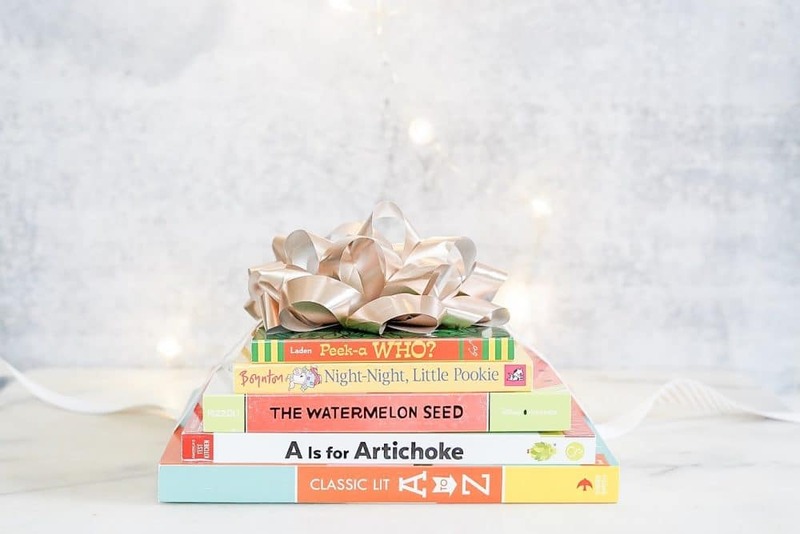 You could even start baby’s Christmas Book collection (I’ve got quite a few of my best board books to give for Christmas listed in this post). The Watermelon Seed was my out of season choice this time around- it’s hands down one of my girls all time favorites but still a title I can feel confident gifting because it’s off the beaten path. My final bit of advice is to keep it super simple with wrapping. I use a pretty ribbon and a bow and skip all the paper. I don’t write in the books I gift just incase the parents need to exchange. But a super cute alternative option would be to include book plate stickers that you’ve filled out with a little note to baby. The ones I’ve l linked are only $5! The parents can stick the cute plats on the books themselves. 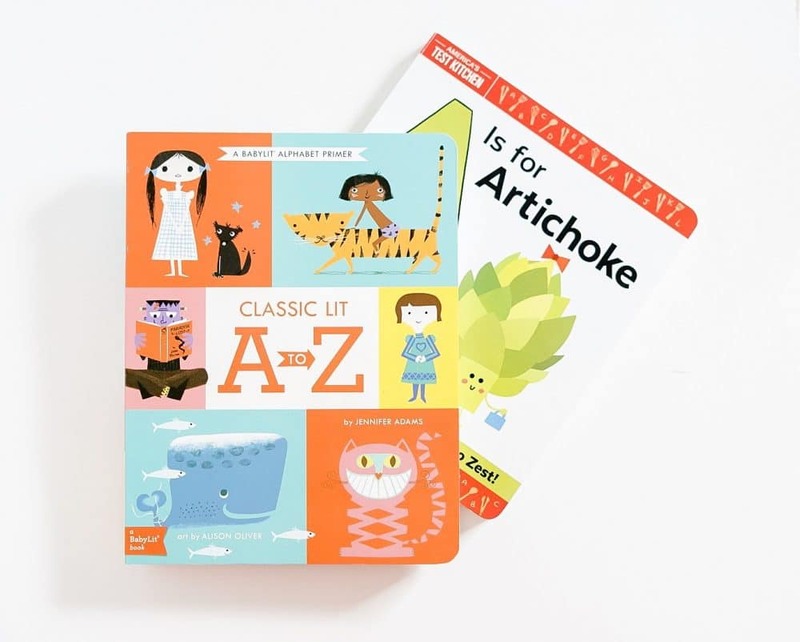 Hope these ideas help you pick out the best board books for baby for your next showe or birthday party. You really can’t go wrong with good children’s books. 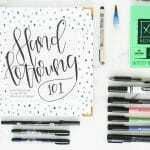 Create Your Own Learn To Hand Letter Kit – to keep or give!